This has being going on for two years i thought it would fade away but it has not,I have made a official report to the police, I am a former british and world international boxing champion, And i think that is one of reasons that this has been happening, This is effecting my entire life their are a lot of people that read this and take it for fact,I have been depressed for the last two years. I cant walk down the street with out them making derogatory remarks about me. I will be taking legal action if this harassment does not stop. Will Haines of Arnold, Missouri has put in my email address when setting up his twitter account. I'm getting some of his mail (such as Twitter requests to confirm his account!) and I can't set up my own twitter account. I can't contact him, can I? Twitter, please ask him to use his own email address. They suspended my account, which I feel was unjustified. Then unsuspended it yesterday evening. I cannot log in. It keeps saying sorry, but the information cannot be found. I donnot have access to this account. The follower an following have been deleted as well. This occurred yesterday evening, after I recieved the email from customer support. I have been trying to get feedback as to when these issues will be corrected. Still have no response as to if these problems will be corrected. 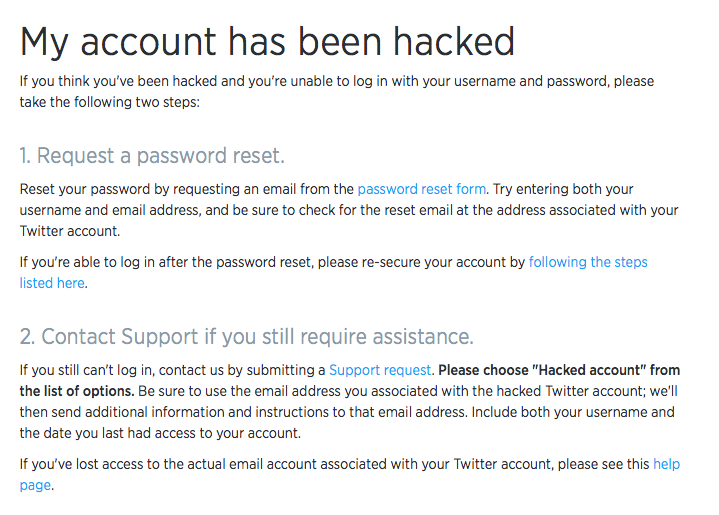 I have sent them emails & tweets in regards to changing my primary email & password and so far nothing, can’t sign in. My twitter account was suspended for no reason, can you tell my me why this has happened, I am disappointed. Hi Twitter, I am aghast that twitter has been harrassing repeatedly in my name to my contacts saying that I am waiting for them to join me on twitter. PLEASE TELL PEOPLE THAT YOU ARE GOING TO DO THIS WHEN ONE SIMPLY PRESSES “IMPORT YOUR CONTACTS” which I thought simply meant I could see who I knew on twitter and personally contact them myself at my discretion from my email contacts – this is VERY Misleading and DEEPLY disturbing. I am getting upset friends and acquaintances contacting me thinking I personally sent that. VERY UPSETTING – OVER TIME OF NUMEROUS WEEKS – VERY BAD TASTE IN MY MOUTH. PLEASE CHANGE YOUR POLICY – THIS IS FRAUD AND HARRASSEMENT. I believe that you sent me an email saying that account was unsuspended so how cone it says my account is still suspended, I my other complaint I wrote I made it clear that my mistake will not be treated so im still befuddled about what’s going on right now, I am incredibly angry for the inconvenience you have caused. My twitter account was suspended due the idiosyncrasies of a companion of mine and due to this I can no longer access my account because it says invalid name or password. I am sorry about this childish situation with my friend and I hope you can un suspend my account for me to correct the wrong that has been done. Forgive this incident and I will do everything in my power to never let any violation of your rules to take place. The rule that was broken was churning which I did not know what it was until I searched it up on the Internet, I am unbelievably sorry for this unfathomable thing and too are not very happy with one of my friends. I hope that you can forgive this and I give you my word that none of this behaviour will take place again. hi, I am writing to you to complain about the fact me and my friend created a fan page on twitter and after a few days it would kick us off and wouldn’t let us back onto the account? And I don’t know the reasons for this,it is the fourth time we have made an account and it has kicked is off. I’m really not happy about this. Is they anyone sinle reasons for this? Could you please let us know as soon as possible and get back to us. Hi, my twitter is playing up it is saying my username and password are incorrect well Iv changed my password and its still not letting me tweet Its saying I can’t be found its happened before can u fix it or shall I make a television complaint and make it worst!!? Just over 2 weeks ago, my Twitter account was hacked in the early hours and my account was sending out a Get Rich Quick Tweet. When logging onto Twitter Help, it suggested I changed my password, which I did, but 24 hours later, I was sending out Spam to all my followers. I think this was due to me opening a link from a follower claiming he had discovered a Twitter app to see who was following you – little did that I know that @ermcarter (carter brandon) had been infected with a virus too. I only have internet on my BlackBerry, so my cousin de-activated my account for me & both he & I on separate occasions tried to access it, we couldn’t because of the de-activation, so we knew it had worked. However, I am still receiving followers and a friend says someone is using my old account @KaraWalmsley. I have sent 2 complaints (the first via API, which was passed on to the relevant dept) but I have heard nothing and am disgusted at being ignored like this, especially when I told them someone is masquerading as me & I do not want people conned via account with my nam. Help! I am being ignored by Twitter. I have sent 2 complaints to them to inform them that because I have been hacked once & contracted a virus, I de-activated my account. I have since found out that someone is using this account, plus I am still receiving followers. Twitter just don’t seem to care about this serious issue. My old account @KaraWalmsley was under my name, and if someone is using my name to scam people, this is very serious indeed! 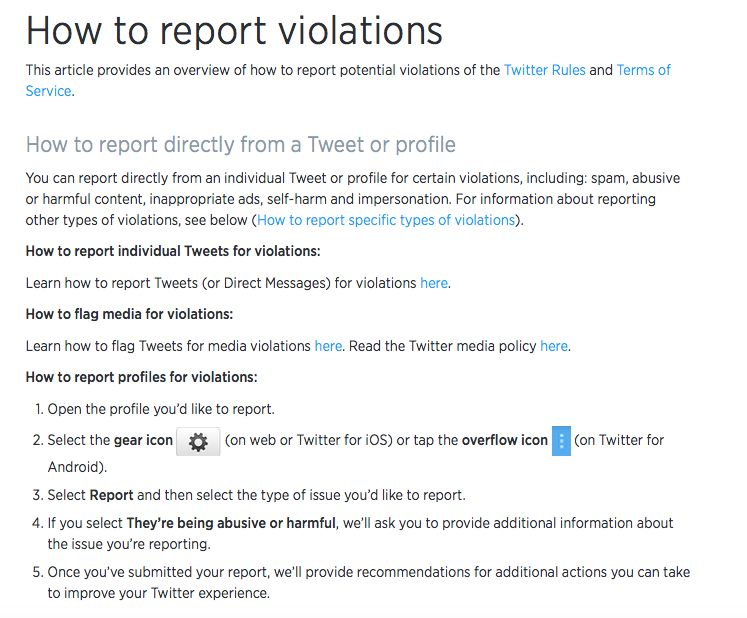 Twitter says they set limits on tweets per-day for those who have an account with Twitter. Twitter states on it’s Current Twitter Limits page that, “Updates: 1, 000 per day. The daily update limit is further broken down into smaller limits for semi-hourly intervals. Retweets are counted as updates.” Well; Twitter thinks 100 tweets is 1,000 tweets and stops me from updating. I’d contacted Twitter and gotten wrong numbers and emails that don’t work. Nobody at Twitter cares to listen; they send you only to their Help Center page and that doesn’t do no help to me. The South Yorkshire man who was recently convicted for joking about bombing an airport on Twitter is now just one of many who have done the exact same thing. Now, thousands of Twitter users are expressing support for Chambers, repeating his tweet together with a hashtag #IAmSpartacus, a reference to the film Spartacus, in which fellow gladiators express solidarity with Spartacus by uttering the phrase, “I am Spartacus.” I don’t really understand this, because people are supporting something that shouldn’t be a joke! I know it’s all fun and games, I just don’t think this is the time or the place to support somebody who joked about blowing up an airport on a public website. Twitter is not private, it is completely public! How can not take these kinds of threats, jokes, and anything even close very seriously given the history of terrorism worldwide? If somebody had blown up a building, but had tweeted about it earlier in the week, I’m sure the public outcry would be why something wasn’t done earlier. So I went on twitter today to check my usual friends tweets. A bright yellow “promoted” badge catches my eye in the trends section, next to a link to “McRib is back”. I don’t really think that’s something that would normally trend, so I check out the hash to see what’s up. To my delight (not a huge fan of McDonalds or the McRib, I find page after page of tweets making fun of the McRib sandwich. Looks like McDonalds plan backfired, unless their plan was to create the largest wave of negative PR for the greatest amount of money. It just upsets me as somebody who loves social networks as a means of staying up to date on news and connecting with other people. I guess it’s the form of monetization that Google following showing “sponsored listings”, that otherwise would never have showed up in organic search results. If you are going to have trending topics great, if you are going to have people pay to fake trends, then place those somewhere else so I can ignore them. This is just passing off social networking to the highest bidder, and I don’t like where this is headed. Am I alone on this one? Oh well, at least it didn’t work out like McDonalds wanted. They trend the McRib on Twitter, but people are smarter than that. This is another example of somebody wanting to be a player in social media, but having no clue how social works. It is a totally different environment than a typical marketing play. I’m sure they paid twitter a small fortune for that trend kickstart, but did they really expect the entire twitter community to jump all over their beloved McRib? Twitter spam seems like it is everywhere more and more today. For every helpful tweet there are a million ones about making ten thousand dollars in five hours, or helping cure cancer, it just gets annoying after awhile. Is this just me here? I like to follow lots of people on twitter for good info, but lately people tweet reply @ me and they don’t even know or me and just want to scam me to buy some weird product. I had trouble setting up my Twitter account and directed a query by email to Twitter Support. I never heard back. I sent a second query... never heard back. In frustration I sent 4-5 email queries and got back 7 replies that I should go to their customer support site. Worthless. So I cancelled my account and opened a new one. Apparently they tagged me and let me set up my account that only worked half the time. I could tweet along for a few days and then I couldn't. I submitted reports and was ignored. After a few days the jerk in support let me tweet again. For a few days. Then it started all over again. I must have contacted customer support a good dozen time over the three months I had the account. At best they told me to reset my password. Worthless. I must have really upset support the last time 'cause I sent them 4-5 emails explaining what I'd done to fix the problem and asking them what they'd figured out. I knew they weren't even looking into the problem. Anyway this last time, after they let me tweet again, I was tweeting away and discovered they had locked me out of my account. Tried the proscribed way to remedy the problem, but they wouldn't let me. Emailed them to shove it and now I'm suspended, probably for life. I don't care. I feel free of them now and can move on. If there were a negative rating for them I'd go with -5. I desperately need to delete an old twitter account and I cannot due to lack of proof the old account is mine. I need your urgent attention please, I might likely gonna loose my active twitter account, since I can't log in via my computer again. I forgot my password and I used all the channels available to retrieve the forgotten passwords all in vain, that I exceeded try again. My account was hacked and I contacted Twitter to try and remove the 3500 likes that had been added as well as 250 dubious new followers. I had not used my account for a couple of years and asked them just to wipe it clean if necessary. Their (macro) response was "Unfortunately, we aren’t able to help with this issue." When I tried to follow it up I got another macro email saying the case had been closed and I would need to open a new one. I tried again via another department and got exactly the same response. "Support" is not how I'd describe the service, there is no support. Twitter in the windows app store has not been updated at all. I'm complaining about the lack of updates towards twitter on windows phone. It is nothing like apples app stores application and is nothing like google play stores application. You guys should really update the application on windows. Go check out the reviews on twitter on the windows phone. Everyone wants an update. Please listen to the people. I normally follow approx. 28 groups and have 5 followers. The last time I posted to twitter was 2009. I follow a couple of conservative groups. My family has been in the US 10+ generations, and I have no foreign interest or loyalty. In Twitter, my account was added to 350 groups including anti-American and Arabic speakers. Twitter threw in some Anime and big breasted women groups, I assume for their amusement. I found Twitters problem reporting mechanism is circular, and completely useless. It dead ends with: 'change your password'. Next stop is their agent for service. I don't dare cancel the account because I cannot be sure Twitter won't invent something on the back end for more mischief. If you don't have a Twitter account, don't get one. If you have one that is low or non-use, check it periodically to be sure you haven't been added to bad groups without your knowledge. Why did Twitter take down hashtag #DNCLEAKS? Are you censoring free speech now? I Tweeted @Support and received no response (however I do acknowledge that they may have not seen this, due to my issue being Tweets not being seen). 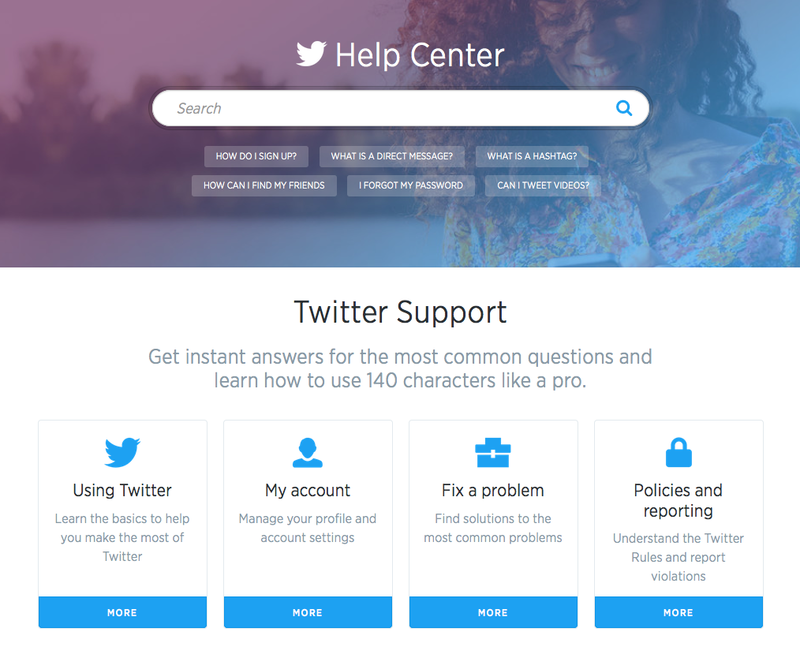 I reported my issue via the Twitter Help Centre. This was five days ago. I have received no reply, no update, not even an acknowledgement that my report has been received. The issue has persisted and myself and my followers are becoming very distressed. Several of my followers have also Tweeted @Support and submitted reports about the issue and none of them have received any response either. I find this to be appalling customer service. I can't even confirm they have my report! Their support email also is no longer monitored, as per an automatic reply I got when I tried that avenue. I would have made a complaint to Twitter directly to make further attempts to resolve this matter, but of course there is no means of doing so. This is just not good enough Twitter. 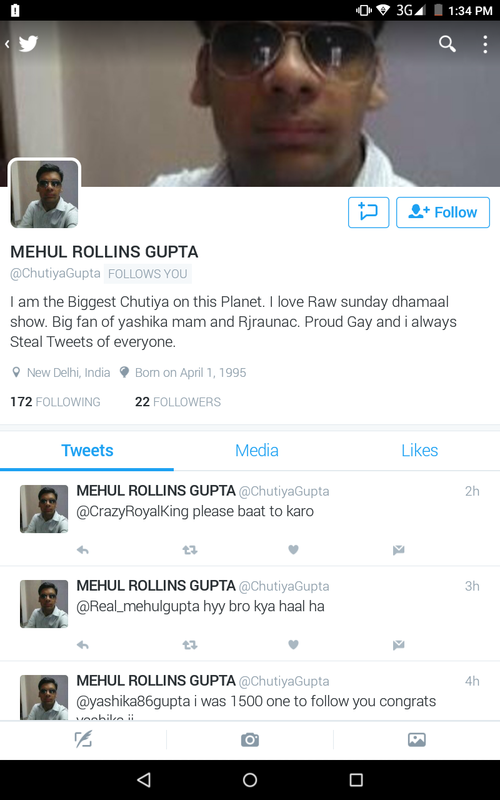 Please delete @RollinsGupta this is a fake account and this guy stole my identity and my information and pics. When ever I try to login in to twitter I am unable to do so. I am being told that my computer does not have access to view twitter. I am able to when not logged in look at other peoples pages. Now I would like to no if this means that I have been blocked from signing in. If this is the case I would like to know why. The email address I have mentioned above is the email address I use to sign in with. I cant login to my account anymore simply because i have to change a password through which whose email and password i forgot. Come on Twitter help me out! Upset and need to know how to block an account on Twitter. Images attached. My follower count is static (3550- 3553) for the past few months. Whenever i deactivate my account, the count becomes another figure (4000), which i think is the right one. After some hours it comes back to the old static number. I have escalated this several times to Twitter customer support, but they do not get back to me. Somebody changed my location to Tokyo and all of my words were translated to Japanese. My Twitter handle was changed as well and now it won't let me change anything back. I am now suspended from my account and I can't do anything. Okay first of all I searched up name (Isaac) under images, I found my old twitter accounts profile picture and I don't want my pictures going out to the public. I should sue Twitter corporate headquarters for posting my picture on google without my consent. Good day Twitter corporate office, this information is for CEO Jack Dorsey. In 2004, I created the name twitter. I am on a satellite communication system that created our nations internet system. This computer internet system can understand all of my thoughts, and some how you get my information that created twitter and all of the features. So I feel these facts are wrongly taken and created a profit for you, so I believe I should get paid a percent, like half of your business because I have half of your computer system how it also works with me daily. I hope we can work this out peacefully. From more than a year, I am facing problems when I do conversations with someone. No one gets notification of my reply on Twitter. And when I retweet them than also no one gets notification. I did complaint on Twitter support and playstore too, but no one responded. When I reply someone, he doesn't get notification... when i retweet someone, no one gets notification..o no one is getting notifications by me and Twitter has no customer service number. Is this not 2016? I opened a twitter account about a month ago. I did not like the fact that it is nearly impossible to make your statement in so few allowed words w/o using ridiculous abbreviations. I forgot my password & since twitter makes you enter them every other time you go on, I should have written it down. would not accept my password & was impossible to retrieve it from twitter. (said they sent me a code on my phone & 3 times they didn't send the code. Finally gave up and opened new acct. I tried to get help b/c I couldn't see other tweets on foxnews. tried everything and finally gave up again and closed acct again. I am done with your site as it is just too much of a hassle. I can see why your stocks are tanking. Facebook ALWAYS works so guess I will stay there. you need to have a better help section too.I typed in question and just got closest answer the site had but not answer I needed. Bye bye twitter. Recently, unless I agree to give permission to access my photos, Twitter won't let me post. Outrageous! First, my personal account was suspended for supposed automated or bot behavior. I only schedule tweets via TweetDeck but not regularly or even on a daily basis. Other connected apps include WordPress.com, and Twitter for Android among others. Regular number of tweets would be 25-30 a day, and would include replies, a number of favorites and retweets. I do not promote anything on my page at all and it's actually quite personal so I was surprised it got locked. Trying to unlock my account took a while because of the delay in sending the verification code. Some codes came in a day late and so when I tried inputting it, I got an "invalid code" during my attempt to unlock it. I was able to restore my account about three days after, but also got an email my account was suspended "due to multiple or repeat violations of the Twitter Rules". I was not informed whatsoever of the specific violations I committed. Again, my account @francoexists has not been used in any shape, way, or form for malicious, spam, or commercial purposes. Second, when I finally got back my account I was able to tweet for a day and a half before I started encountering issues this time in tweeting and sending direct messages. I noticed it first using the Twitter App for Android wherein I would repeatedly getting a "failed to tweet" notification. It was when I used my web browser that I found out the reason, which is Twitter Error Code 226. This has been happening for a week days now since January 17. I am again not sure why Twitter is tagging my tweets as spam or as malicious when I do not promote or sell products nor use any automated means apart from the Tweet Deck scheduling which isn't even on a regular basis. The only automatic links I send are usually via Wordpress.Com (automatic sharing upon publishing a blog). I tried the other solutions recommended here: https://twittercommunity.com/t/error-code-226-this-request-looks-like-it... but to no avail, including logging out and resetting my password. In fact, I have reset my password four times already. This is really frustrating me because I do not understand or know the violation I committed if any, and because I am not getting any troubleshooting support from Twitter for my account. For the record, I have also revoked access to all Apps connected to this account of mine. I have two accounts and I the other one is working normally for both desktop and mobile devices (use multiple devices when it comes to twitter). I have received no support or response from your Support Team whatsoever. I have tried replying to the tickets I filed but only to get a response that "the issue" was resolved. I have filed over five tickets regarding my inability to tweet and not a single case number was given to me. I have deactivated my account and continue to get messages that it has been reactivated despite me messaging them on 3 occasions requesting they delete the account and yet it continues to be hacked and reactivated. Their system is obviously NOT secured and I don't know how to get them to actually do as I request. I am beyond irritated with Twitter. Can you advise how one gets them to delete your account? I've been charged with a crime under section 127 of the telecommunications act and I go on trial 27January for crime I did NOT commit. I'm innocent contacted Twitter opened 4 files despite showing them that username used to send message isn't mine they won't confirm this fact all they repeatedly say is account is deleted. I am due back in court on 20 January for last chance before trial begins a week later. If you can help me get a positive reply that proves my innocence from Twitter it'd be much appreciated. I don't do twitter but some woman is using my email to join? twitter which makes no since are names are nothing alike and I don't do social media for personal reasons. The email I used above is my new email address. And I don't remember my username. I think you have got this old, now defunct email address. I want to change it. When I read your help pages they always tell me to first sign in to Twitter.com and then hit the icon which will give me a drop down list of things including what I need, account and then settings. But when I put in twitter.com I get all these faces etc. Nowhere do I see the icon the help pages told me to click on. The icon is simply not there. I always imagined the makers and operators of something like twitter were very bright people. I am now seeing this is not true. Now can you or can you not tell me how to change my email address and username, and please don't tell me to sign onto twitter.com like all your instructions do because there is no icon there to access any drop down menu with account or settings. I have been unable to delete my latest tweet although I have tried many times; The link in the tweet does not go to the poem to which I am directing readers and followers. All my other tweets have done this without a problem or I have been able to easily delete where there has been an error. What has happened to the delete button? If you cannot help, I will delete my account altogether because this is misleading for readers and followers. 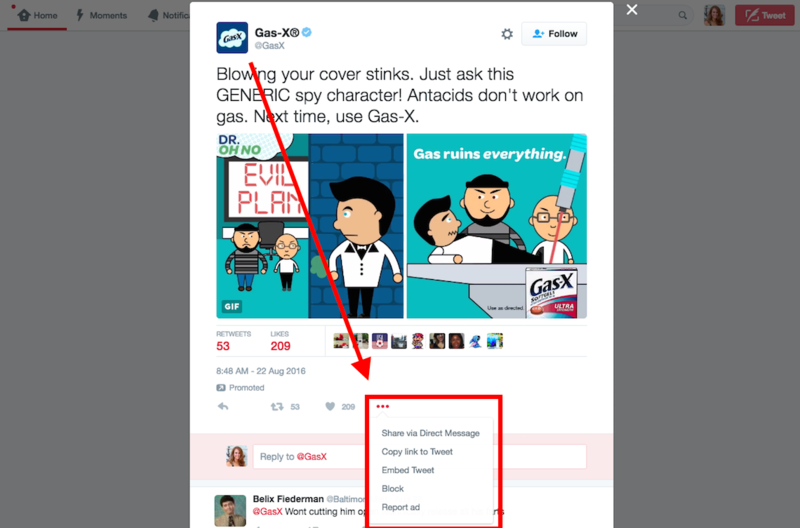 I write to complain about Twitter placing tweets with me that are 'extra'. I am happy to receive retweets, and I appreciate Twitter needs to send promoted tweets, and also suggestions for others I may wish to follow. However, I object most strongly to being sent tweets by Twitter itself from people I do not follow. Nowadays I am receiving tweets from people followed by people I follow. One of the joys of Twitter is the speed with which I can assimilate information. Unwanted tweets slow this process down. Is there any way I can block unwanted tweets generated by Twitter itself please? Their customer service is not all that great. I received an email on my job stating I opened up a Twitter account. I have not opened a twitter account do not know anything about it. I would like a report ran to verify who did this as I believe someone at my job is trying to disgrace me. After I found out about this I tried to find the Twitter customer service phone number, and found nothing. How can I contact them and get help to shut this down? I tried to respond to my tweets. The system is just not responding. Please fix it as soon as you can. Twitter has locked out my account without explanation, and now they are blocking posts retweets and follows. Have not violated any of the rules. This is a personal business account which has been professional from day one. I have not violated copyright laws, harassment regs or used indecent or foul language. Twitter has not provided any answer or explanation as to why they are blocking and selectively cutting off or shutting down parts of my account. Some twitter users are posting inflammatory information which solicit immediate and heated responses. I responded to a "tweet" and my account was later locked by twitter because someone complained. I was never offered an explanation nor asked to delete the "tweet". I sent an email to twitter asking or more specific information but my account remains locked. My opinion is that twitter should not allow organizations to have twitter accounts, when these same organizations are posting inflammatory information that solicits angry responses. Many political action movements are now using Twitter and using twitter to gather support for their movements, and Twitter, for some reason, caters to, gives preferential treatment and protection to these organizations and their administrators. It's extremely unfair. I can't lodge a complaint with twitter, because they only have a small office to handle these complaints, and when they do they only give short generic responses with no long term answers. I use twitter to talk with my coworkers and friends. Twitter should not be so "sensitive" to lock accounts. The so called "support" team on Twitter are utterly, utterly incompetent and allowing blatant racism and homophobia attacks and abuse to keep on going. This is hate speech which in my country is a crime. I and my son have reported it multiple times with hundreds of tweets in total as evidence. Do they do anything? Do they hell! They say it "doesn't break their policy" which is ridiculous because it clearly breaks the law! I have had it with these lazy, incompetent and clearly hateful morons! The safety of their users is not in their best interest apparently, when just a couple of years ago, they took swift action on this type of abuse. They now ALLOW IT! Utterly utterly disgusted and outraged that they're allowing this to continue and don't care. I'm so angry that innocent people are made to suffer because of this. My 14 year old niece committed suicide after one of these attacks on Twitter just months ago. Facebook stepped up and changed their policy, made more reporting options, and came down hard on people who broke them, as did Instagram and YouTube! So why can't Twitter? I don't understand. I'm so ashamed of this but they're cowards and won't let me file an official complaint. It's funny how they give no contact information for their company! I had an account with Twitter for some time, I wouldn't use it that frequently, when I logged in, I'd find 1000's of people I'm following, that I didn't follow, my account was being hacked on a regular basis, never had this problem with any other social networking site. I logged in one day to find my account had been suspended, when I appealed this, I got an automated response saying it had been suspended due to multiple violations, even though I told them it was due to being hacked. So I appealed again, this time slightly more frustrated with the poor service, I got another automated response stating the same. Why should I be punished for Twitters sub standard security. Twitter, I'm disgusted by your lazy, incompetent customer service. You seriously need to sort it out since you clearly have a serious security problem which users are being penalized for! The website is no help at all for customers. When I logged into my account to deactivate my account I follow the steps to the letter, and I scroll down all it to the bottom and the deactivation button was not there. When I went to the help line on the website to see if they could help me with deactivating my account. And I looked at all the information and then went back to the same spot where I was to see if I missed it and it still wasn't there. So I left a comment at the helpful line on the website and it did not submit. So I just want my account to be deactivated and Twitter to provide some customer service for a change! I do not have twitter account but it says my number is in use. What the hect? I do not like the idea of the new algorithmic news feed. I follow several key weather stations for updates. I am the Social media geek with a specific handle. I've so many parodys and impersonations such that complaints from my fans and business associates. I believe the only way out is to help verify my account by giving it the blue check mark. I've done all that there is needs to be done but with so many false affiliated handles, all I seek is the verify badge. I would be eternally grateful. 8 weeks unable to access Tweets, follows! If I go into add account, after I enter my password I may, or may NOT, be able to scroll thru current tweets. A previous account had blocked tweets that we're anti-immigration or Barack Obama. Tweets noting the numbers of casualties for American wars were simply NOR pistes if they mentioned Mexican American War. I had trolls telling me it is a done deal, Browns moving in, Black/White move out. This is Political harassment. Please fix it. Twitter has put the following before my Web Site. The link you are trying to access has been identified by Twitter or our partners as being potentially harmful. This link etc. And as your partner is the Australian Commonwealth Government I believe that this is 'Conflict of Interest' and you are attacking my freedom of representing all these people whose rights have been ignored by these people. Cannot ever follow back my followers. I get a message that I have hit a follow limit. Seems I am always at that limit. That really is my complaint and I don't know what else I can add. The customer service at Twitter is also non-existent. When I tweet does not show up in my timeline. I think has not worked and tweet again...ending up with multiple duplication? Also a photo of little creek was removed not by me from my tweets. This was about play snuggle pot and cuddle pie, a real play well known to Australians by author May Gibbs and they NO reason to remove it. I was taken for $27.50. I was approached by a Sam Smith, who said he would like to sale The Walking Dead AMC on twitter. I think it is the fan page. He asked me if I would be interested and had a long conversation with him for a long time. Now He talked me into buying it telling me I could make a lot of money off of it. Said he needed the money because he was down and out. I am a sucker! When I sent the money by PayPal, he Blocked me from talking to him and also from the Walking Dead Fan Page. I have kept all conversation. I either.want my Money back or the Twitter page. I am very uspset that I cannot even go on Twitter without being taken. I complain that your customers have writing bad things on Twitter about personal information and helping the bulls and slander and harassment on your site the belk avenues mall in Jacksonville and all over world by other churches hurting someone else's who lived a Christian life but your site been helping hurt other person please stop the going on before she gets hurt she lives Jacksonville her name Anne Alvarado. I am the owner of numerous trademark, copyrights and other intellectual property registrations throughout the world in respect of a variety of products. The twitter account that you have listed infringe on one or more of my intellectual properties. Indeed such page violate US, India and other countries’ Trademark law, in particular U.S. Trademark Reg. No. 4,336,671 and International trademark 1 119 694 to the word mark resqme in class 9 for phone and internet apps. So please be advised that I have already notified the party owning such twitter account and today I demand that you immediately remove such account until they keep using my trademark for the above-mentioned accounts and any related products. I can't believe you would allow someone to post a horrible image of a horse getting shot like Chad Shanks did on the Houston Rockets twitter account. You should ban him and ban the rockets from tweeting for a month! This kind of hate has to stop on social media. Mmy Account is being hacked and some of my tweets are being removed as well as pictures. I would like to download my twitter archives and have them sent via email but cannot get in touch with Twitter. Anyone know the information to Twitter customer service? I have repeated love you tried blocking my Twitter account instead of the wrong spammers although it appears blocking other users never has success. 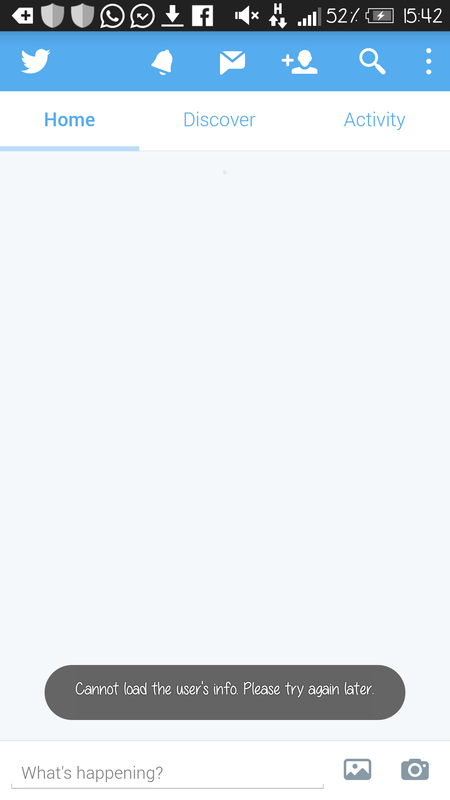 I continue to receive instant messages titled twitter from this sender.